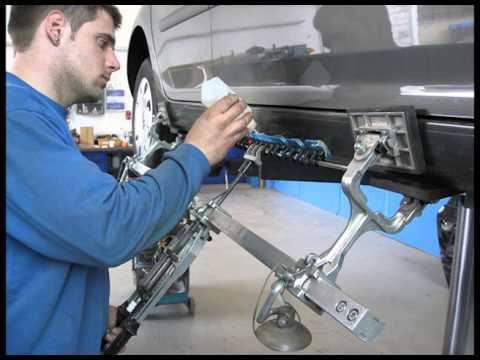 VW T5 Side Panel Repair with the AiroPower Press and the MIRACLE Gluing Technology. 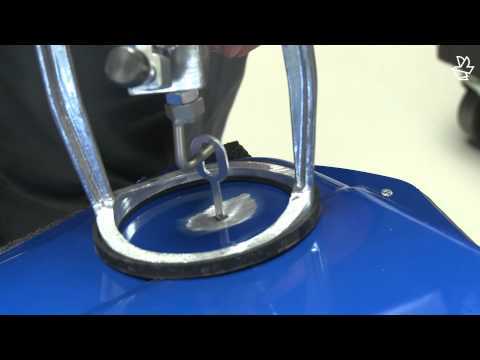 Use of Miracle Gluing Technology, Strongpuller, AiroPower Press and other MIRACLE tools. 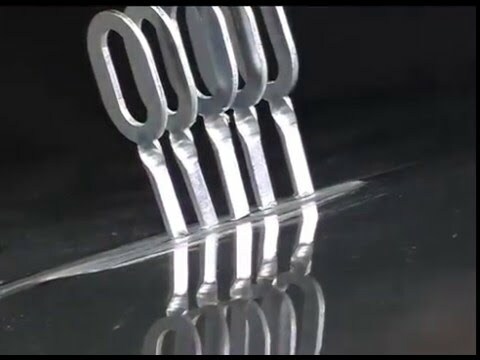 The unique MIRACLE Gluing Technology in use for an economic repair. 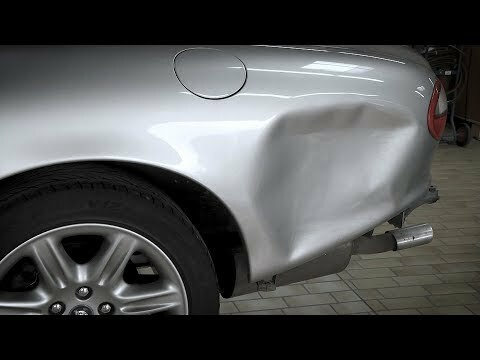 A actual irreparable damage on a almost new Audi A5 is with Miracle high-quality and economical repaired. 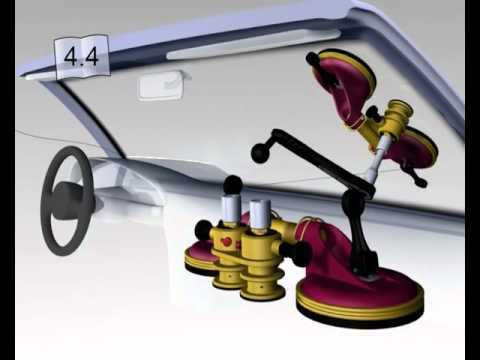 Miracle-System – the unique Repair Concept for steel, aluminium und gluing technology in overview. 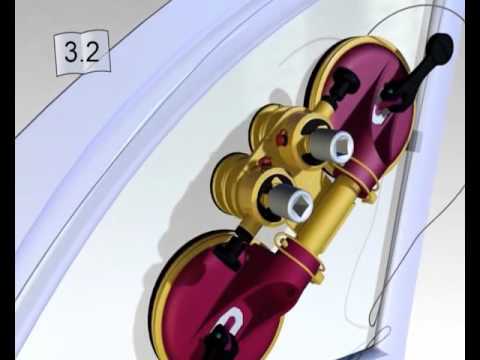 Here you can see the Miracle-System and its components in the application. 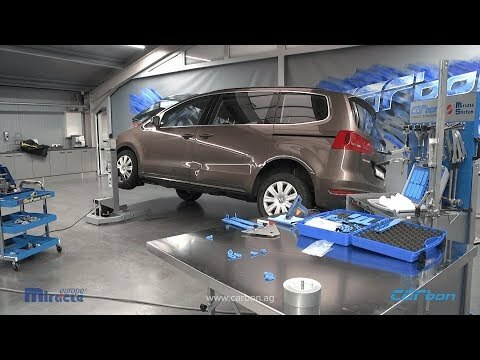 Overview of the Volkswagen Clever Repair concept. 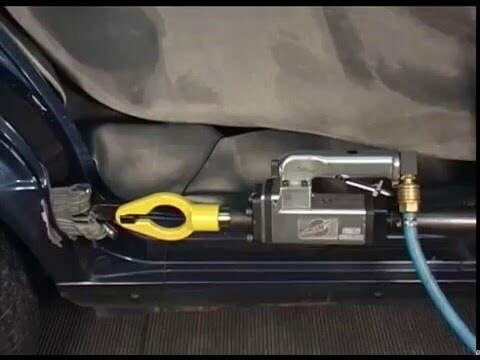 GlueTech and AiroPower - The perfect combination for paintless dent repair. Incredibly fast setting up with the Miracle Gluing Technology. See for yourself. 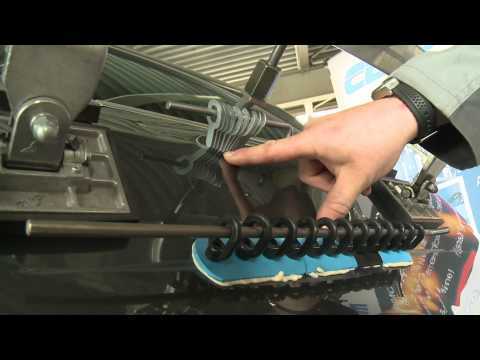 Repair of the Tailgate with the MIRACLE Gluing Technology on a Mercedes. 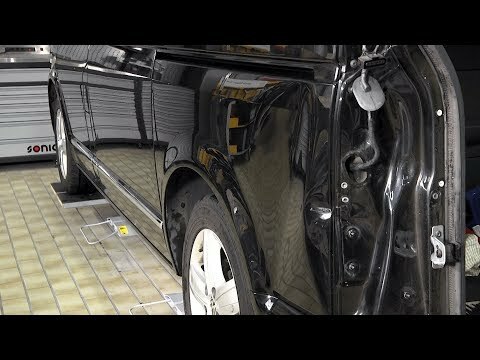 Repair of the side panel on a Lamborghini Gallardo. Side panels and wheel arch on this Gallardo LP 570-4 Trofeo Stradale were indented extensively by 25 mm. Repair of a Ferrari 458 Challenge aluminum side panel. Race car side panel. 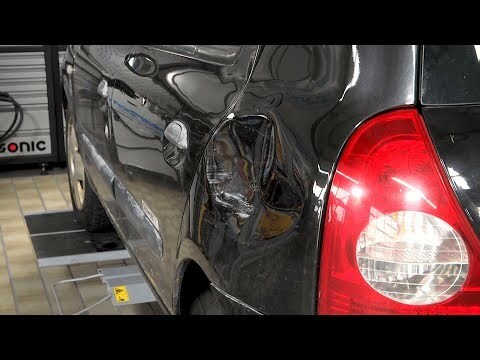 Repair with Miracle adhesive technology and the CMA-100 AluRepair system. 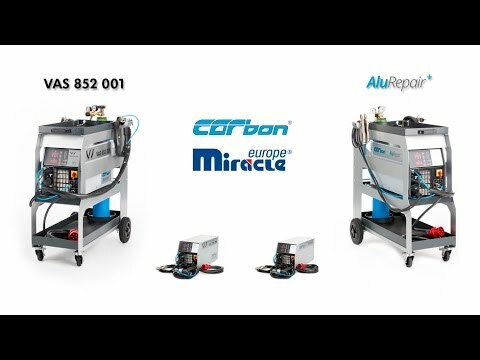 Impressions of Carbon on the Automechanika 2016 in Frankfurt. 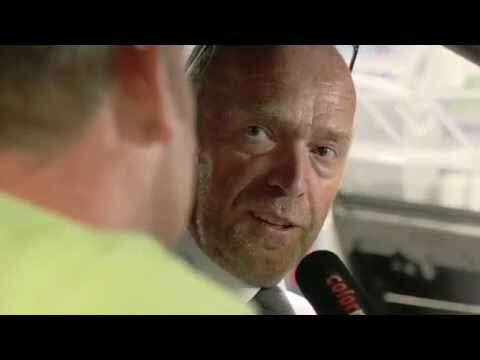 Colornews report about Carbon on the Automechanika 2016. 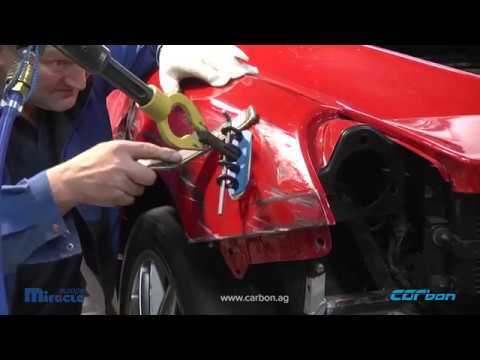 Video on the topic of "paintless dent repair" with Carbon. 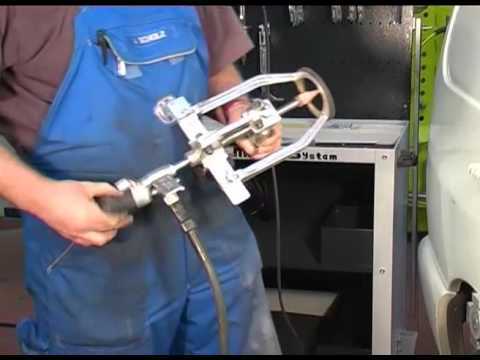 Here you see the AiroPower pneumatic press in action. 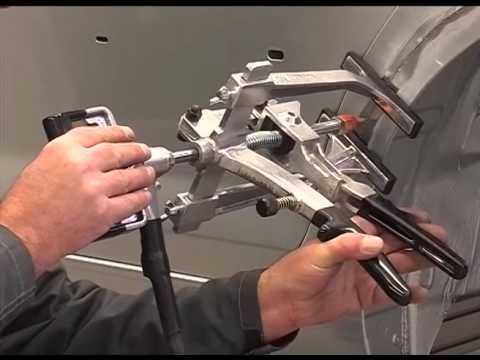 Look how front and side windows can easily be removed with the Roll Out 2004 Window-Removal-System. Here you can see a front window disassembly with the Roll Out 2004. 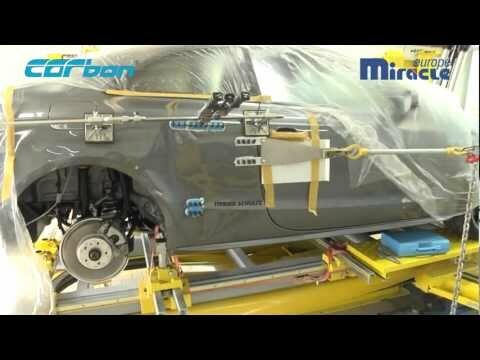 Here you can see a side window disassembly with the Roll Out 2004.